﻿﻿For the first time, scientists have revealed a mechanism underlying the cellular degeneration of upper motor neurons, a small group of neurons in the brain recently shown to play a major role in ALS pathology. ALS, or amyotrophic lateral sclerosis, is a fatal neuromuscular disorder marked by the degeneration of motor neurons, which causes muscle weakness and impaired speaking, swallowing and breathing that leads to paralysis and death. Defects in upper motor neurons, which send messages from the brain to the spinal cord to activate voluntary movement, may be a starting point for the disease. In a new study, published in the journal Cerebral Cortex, scientists begin to explain why upper motor neurons are vulnerable to degeneration. They developed a new mouse model for studying these cells, and found that increased stress in the endoplasmic reticulum (ER) is one culprit of upper motor neuron death. The new model features mice without UCHL1 protein function - mutations in UCHL1 gene have previously been implicated in motor defects in human patients. Using in vitro and in vivo methods, the scientists discovered that loss of UCHL1 protein function affects protein regulation pathways, ER stress and upper motor neuron survival. 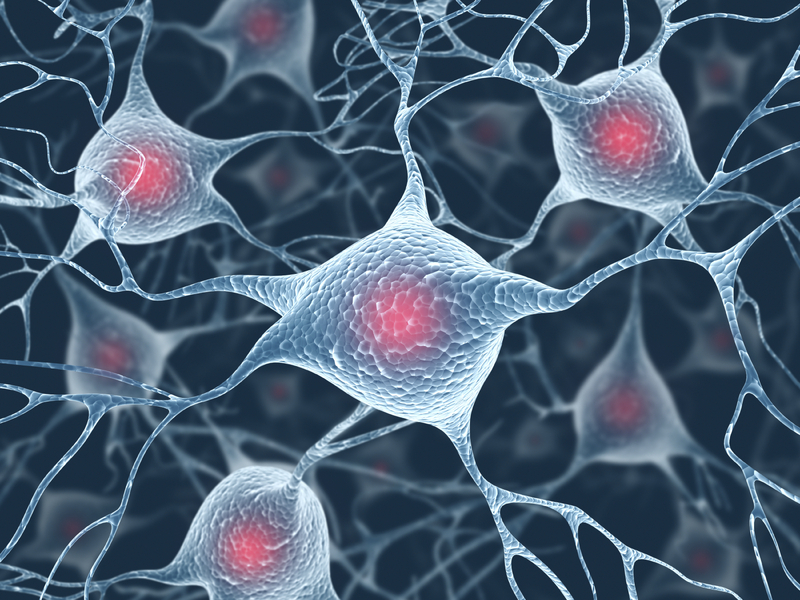 Upper motor neurons make up only about 150,000 of the 2 billion cells in the brain. In mathematical terms, they're insignificant, but their function is important. They act as the spokesperson of the brain by collecting, integrating, translating and transmitting brain's message to the spinal cord targets, and by doing so they initiate and modulate voluntary movement. With a model, the researchers now have all the tools to develop therapies directed at the upper motor neurons. The findings of the study could also have applications to other neurodegenerative diseases that may share ER stress as an underlying cause. Parkinson's, Alzheimer's and ALS are similar in many ways and may be due to the same dysfunctional cellular pathways. Finding a therapy for the pathway could help all of these patients.